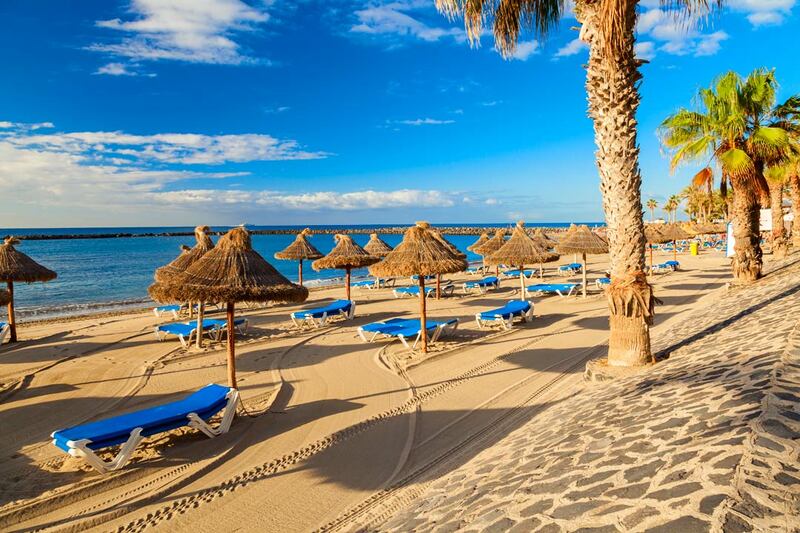 Head to the Canaries for leisurely walks under the winter sun. This comfortably-paced walking holiday takes in a variety of tracks amid wonderful scenery. Discover the contrasts between volcanic terrain and lush scenery as you explore the real Tenerife along ancient trails which are peppered by traditional farmsteads, prehistoric cave settlements, and rustic Canarian culture. We will discover Tenerife’s varied natural beauty caused by its turbulent volcanic past as we pass through valleys, mountain ranges, and national parks. Our welcoming hotel is based in Santa Cruz, an area which allows us to get out and about on the island but also explore the local area when we have free time. Today we depart for the Canary Island of Tenerife, ready for a week of walking and exploring the island. Our guide will meet us at the airport to tell us about the island, what kind of walks we’ll be doing over the week, and any other activities you might enjoy during your free time. As it’s our first day, we’ll be taking a leisurely half day walk as an introduction to Tenerife’s coastal landscape. Enjoy a relaxed breakfast at the hotel, stop at the supermarket for some snacks and let’s go out and enjoy Tenerife’s nature. We’ll be venturing to Bollullo beach – a natural black sand beach – from the hotel. This is considered one of the most beautiful beaches in Tenerife as it’s tucked away in a secluded cove and the bright turquoise water contrasts dramatically against the dark beach. If you wish to do so, you may also have the opportunity to visit the Botanical Gardens en route. Breakfast and dinner included. Overnight in Tenerife. Our first long walk of the holiday takes us to High Orotava with a gentle introduction to the Tenerife pine forests at 4000ft. After a short 40 minute drive, we’ll step onto a broad track that is a particularly scenic part of Tenerife’s GR 131 – a walking route that crosses the Canary Islands. We’ll descend into silva-laurel forest before coming to La Caldera – a defunct volcanic fissure which has been turned into a recreational area. Breakfast, lunch and dinner included. Overnight in Tenerife. Today we’ll take a 1 hour 15 minute drive to the Teno Mountains. The Teno Massif as they’re known, is one of three volcanic formations that make the island of Tenerife. We’ll start at the Chinyero monument, high up in the Santiago valley and make a gradual climb of 300 feet. 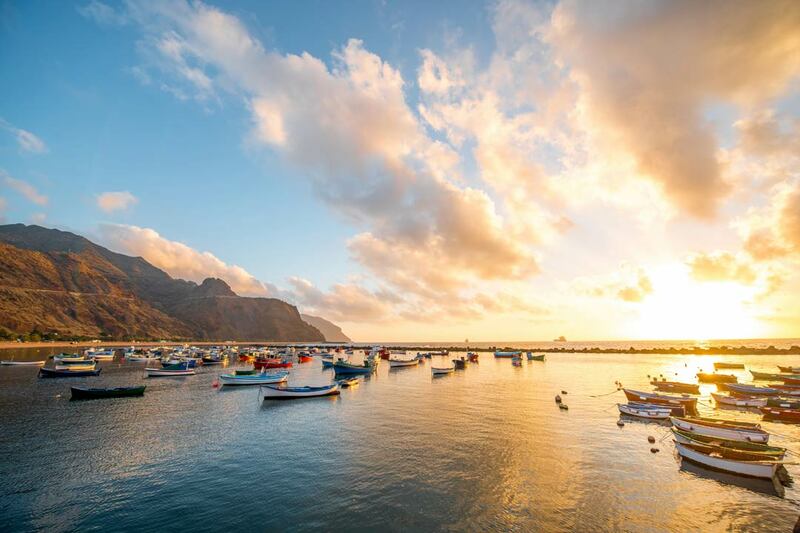 It’s here where we’ll meet a canal which carries water to the south of the island and along our route on a broad track, there are impressive views of La Gomera as well as expansive views of the countryside and coast. We’ll the descend steadily for the remainder of our walk through the impressive landscape of this island. Today you can enjoy a day by the pool, head to the coast, or explore the local area. Puerto’s boardwalk is a popular place to enjoy the fresh air or the sandy beaches make the perfect place to soak up the sun. 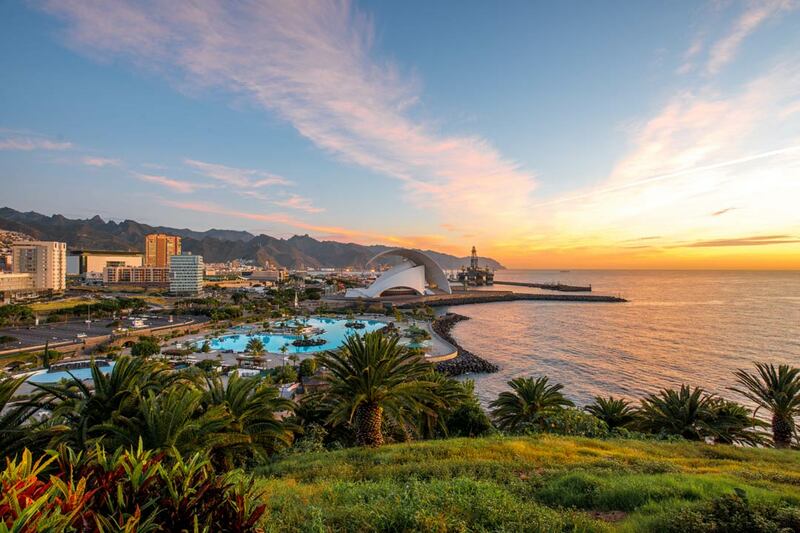 Puerto is also home to many open spaces, green parks, and piazzas filled with Canarian culinary treats. 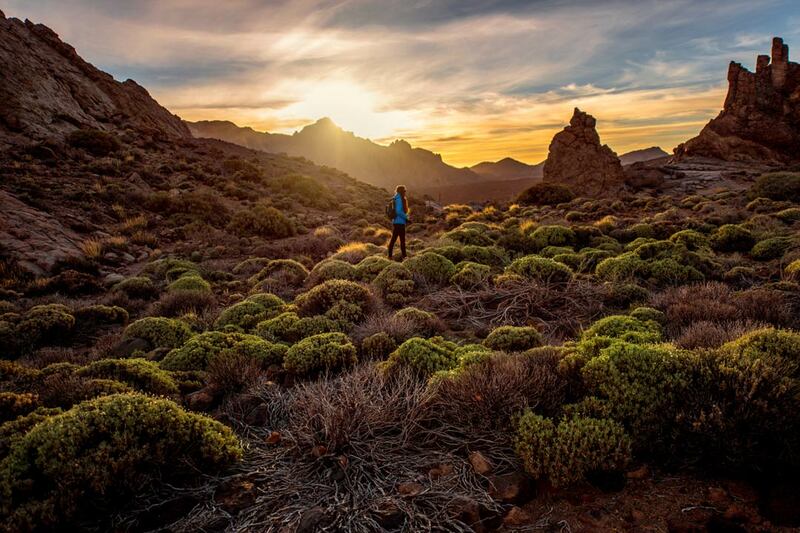 Venture to Teide National Park – the largest and oldest of all four national parks in the Canary Islands – on a route above Silva Laurel Forest to a large plateau. At 7,000ft elevation, discover an unusual micro climate offering 310 days of sunshine every year. 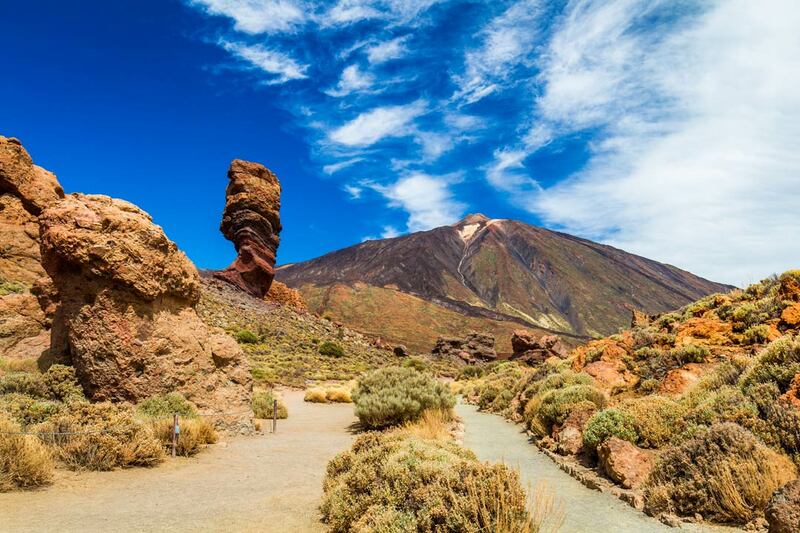 This walk will be in the shadow of Mount Teide, the highest point in all of Spain and the world’s third largest volcano when measured from its base that lies deep in the Atlantic Ocean. On this walk, there’s the opportunity to take an extended detour to the Rocks of Garcia if you wish to do so or alternatively you can relax at the café and wait for the return of the group. Today we’re walking at a height of 2000 feet, just below the Silva Laurel Forest zone in the Anaga Mountains. We’ll get incredible views of the coast today on this undulating track where those with additional energy can climb to a cliff edge viewpoint for spectacular vistas of the island. For those that want to take it easy, we’ll stop at the Cave Restaurant for food while the rest of the group return from the viewpoint. This route will ascend through the Silva-Laurel Forest of Chiminada, through the clouds and onto the ridge. This evening, for our last meal, we’ll enjoy dinner together in a local restaurant before our return journey to the UK tomorrow. Breakfast and lunch included. Overnight in Tenerife. We return home this evening so there is time today to enjoy the wonders of Tenerife before departing for the airport around 4pm. We hope you’ve had a great time and we look forward to seeing you on your next Traveleyes holiday. Please note that you will need a reasonable level of fitness for this walking holiday as parts will be at altitude and some climbs may be quite challenging. For the Teide National Park section of the week, please ensure that your insurance covers you to walk at altitudes of 7000ft and that if you have any heart or high blood pressure problems, please ensure that your doctors has confirmed there’s no objection to you taking part.